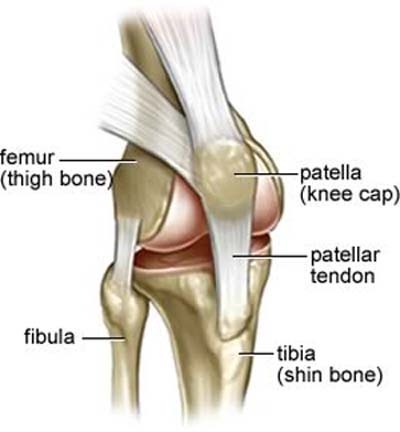 Knee is the lower extremity joint connecting the femur, fibula,patella, and the tibia. Since in humans the knee supports nearly the entire weight of the body, it is the joint most vulnerable both to acute injury and to the development of osteoarthritis. The knee is a complex joint with many components, making it vulnerable to a variety of injuries. Many knee injuries can be successfully treated without surgery or need of an orthopaedic surgeon, while others require surgery to correct. 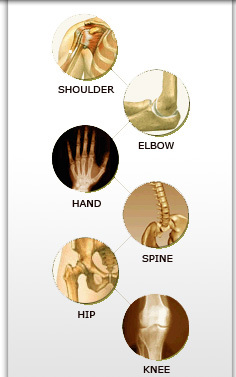 Here are some facts about the knee from the American Academy of Orthopaedic Surgeons. Many athletes experience injuries to their knee ligaments that require knee surgery. Of the four major ligaments found in the knee, the anterior cruciate ligament (ACL) and the medial collateral ligament (MCL) are often injured in sports. The posterior cruciate ligament (PCL) may also be injured.